Take advantage of reader eye patterns: research shows that customers will start reading in the upper right quadrant, so your most popular items or specials should be placed there. Next, their eyes will move down to the menu’s middle section, so this is where your expensive items should be positioned. Group items logically so customers don’t need to search too hard. For example, in the order that they would be eaten: breakfasts; then lunches; then dinners, or it could be grouped according to food type: meat; poultry; fish etc. Within each section, you want your moderately priced items in the center but don’t end the section with your most expensive item. Your second-highest priced item should be the best seller. Highlight signature dishes (no more than 3 per section) with icons; call-outs like “Chef’s Special” / “New”; or other visual cues. Upsell items, such as drinks and desserts, could be listed on separate menus or tent stands. Put your daily specials on a separate sheet or board to add variety and give you flexibility. Use enticing descriptions that will tempt customers to order. It’s important to find a balance though where your descriptions are not too long, but should provide enough information to help customers to make their decision. “The first taste is with the eyes” – you may want to include visuals of some of your dishes. Photo’s are also useful if you serve exotic food which is not familiar to locals. 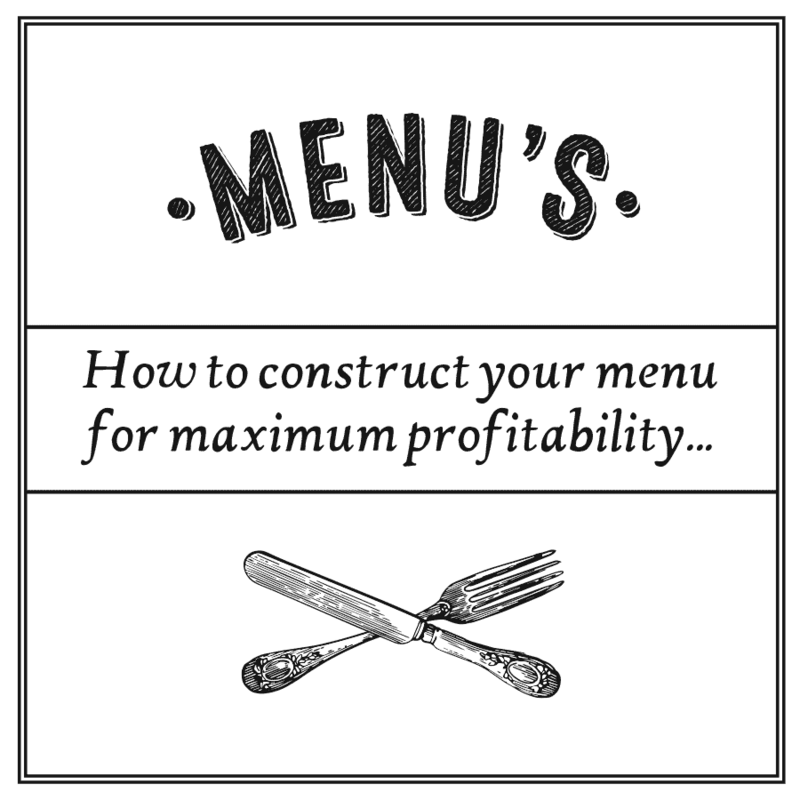 Your menu should be an extension of your brand. Choose colours that are appropriate for the theme of your restaurant and a design style that is reflective of the kind of experience thay will have once inside. An elegant, upmarket restaurant should not have a cheap and cheerful menu with bright colours, lots of columns and large lettering. Similarly, an affordable take away outlet should not try to look too upmarket or it may drive away budget-concious customers.